You can enter the default bank details that will appear on your invoices by navigating to Settings > Bank Details. 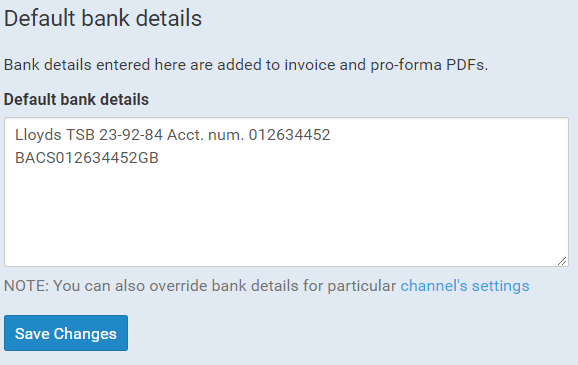 You can also override bank details on a per-channel basis by editing the channel details under your settings. Navigate to Settings > Channels to do so. Be sure to click "Save Changes"!